I love Film and TV… I should do, I spent six long years at university studying them. And it was during my time at uni that I began reading scripts myself, some as part of my courses, but a lot of them purely for my own entertainment. It’s a hobby that’s stayed with me, through into my career as an author, editor and screenwriter myself. My favourite kinds of genre shouldn’t be a surprise to anyone who knows me or my work. I love the imagination involved in good SF, Fantasy and, especially, Horror movies and television. So, when I began thinking about a new anthology project a little while ago, it seemed an obvious choice to compile a book of TV/Film scripts and treatments. But, to give it a different slant these would be either rare or unmade, or both, meaning that this would be the only opportunity you’d ever get to read them…unless you’re fortunate enough to know the writers, that is. And there were just so many to choose from, because – as anyone in the business will gladly tell you – a lot more material gets written than gets made. Too much choice, actually… However, to kick off proceedings with this first Dark Mirages, we have six writers whose work I’ve admired for a good while, with projects I’ve long been a fan of. I first came across – and was bowled over by – Axelle Carolyn’s work a few years ago, when I saw her excellent short movies Hooked and The Halloween Kid, which she wrote and directed after starring herself in movies such as Doomsday, Centurion and Blood + Roses. Most recently, she wrote and directed the superb feature film Soulmate (starring Hellboy II’s Anna Walton), contributed an entry to Tales of Halloween and wrote for the hit Netflix TV series The Chilling Adventures of Sabrina. Here, though, is a rare opportunity to read the story that inspired her first short movie, The Last Post – another touching ghostly tale, which starred genre icon Jean Marsh (The Changeling, Crooked House) – presented alongside the film’s script. Peter Crowther is another legend in the field, a British journalist, short story writer, novelist, editor, anthologist and – with the equally legendary and multi-award-winning PS Publishing, founded with his wife Nicky – publisher as well. Pete also scripts and the long-lost entry we’re presenting here was meant to be part of the Chiller TV series back in the 1990s, but never appeared. I’m delighted that we can give it a new lease of life in this book. Finally, yet another famous name in the horror genre, Stephen Laws was at the forefront of the ’80s boom with bestselling novels such as Ghost Train, Spectre and The Frighteners, right through to Chasm, Fear Me and Ferocity in the ’90s and 2000s. But, like many other horror prose writers, Steve also carved out another career for himself in film and TV, and we’re lucky enough to have here a supernatural telemovie that, once again, sadly didn’t get made – but is getting a fresh airing in this book. 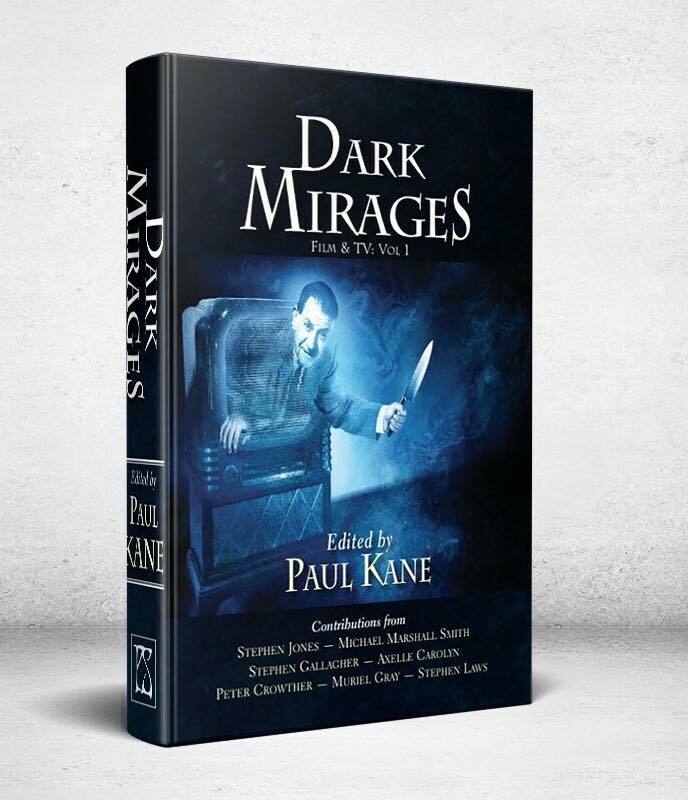 So, film and TV fans, it only remains for me to say enjoy these scripts and treatments, presented in their original formats, and of course enjoy the Dark Mirages that they conjure up in your imagination!